Rosa Rugosa is in full bloom on Martha's Vineyard. I remember these wild rose bushes in front of our house where I grew up in North Danville, Vermont, They always delight, and signal a clear transition from spring to summer. 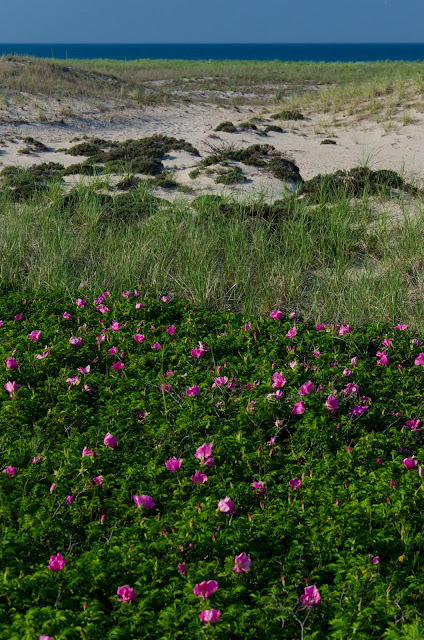 Huge patches of them grow on the beaches, but they only bloom for about a week. I like the way the different textures of beach vegetation stack up from the roses to the sky in this image.